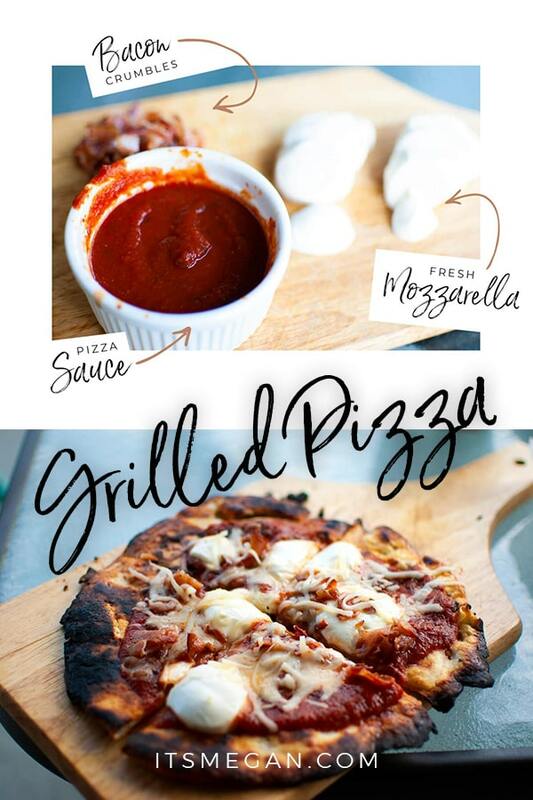 One of my favorite things about Weight Watchers is that it’s taught me 1,000 creative ways to eat pizza. 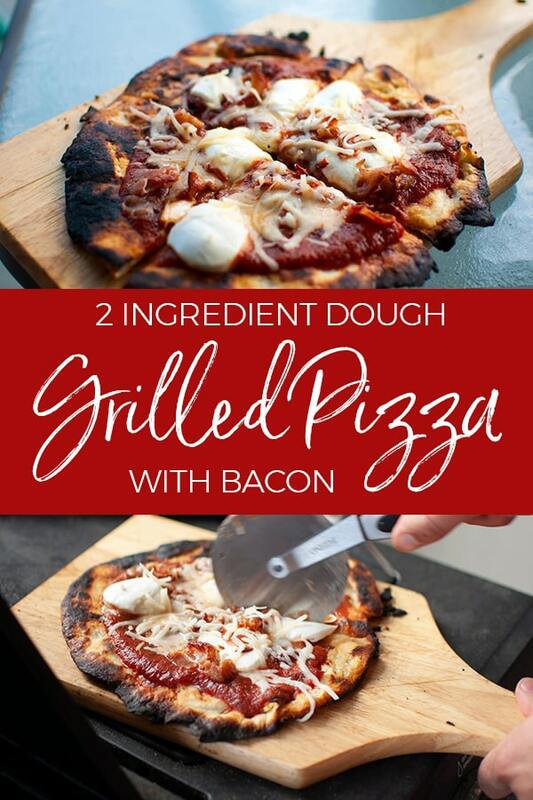 If you haven’t heard of 2 Ingredient Dough, check out my post dedicated to it here. This stuff is so easy to make, and it’s very Weight Watchers friendly. 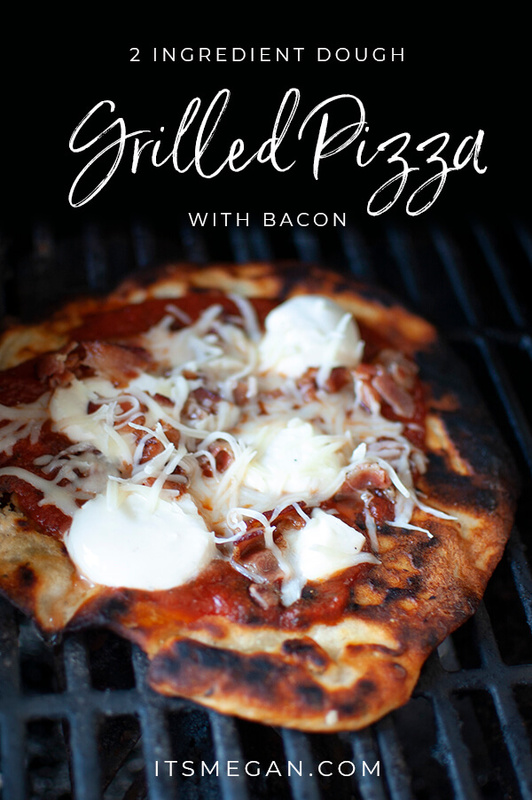 This particular recipe is more like a tarte flambee versus a pizza. However, it’s delicious and the perfect recipe to eat every day from now until it’s impossible to grill outside. First, go about making your 2 ingredient dough pizza crust like normal, then add salt, garlic and dried basil prior to mixing. While you’re doing this, you can put your center cut bacon in the oven on 370º for about 15min. At this point you should turn your grill on to get hot. 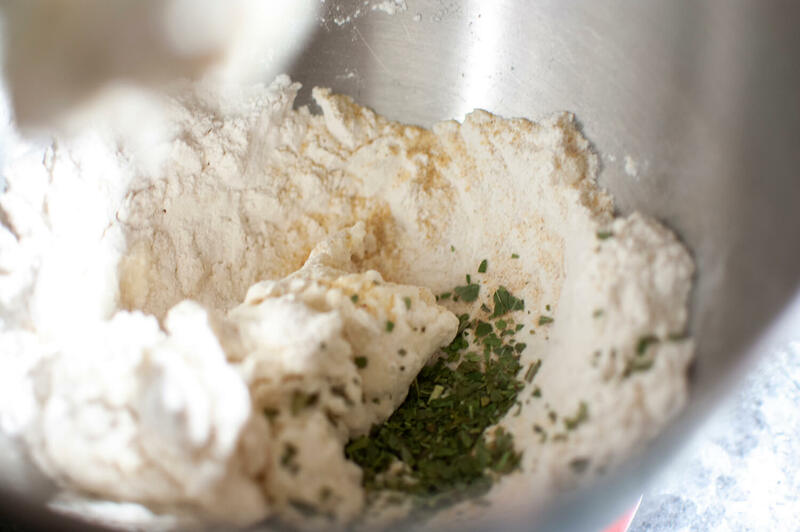 Once your dough is ready, lay it out on a floured counter. I use regular flour for this. The dough will be pretty sticky, so using the flour on the surface, your hands, and the rolling pin is extremely helpful. Try not to overdo it on the extra flour though, or you’ll have to add it as calories / Weight Watchers points. 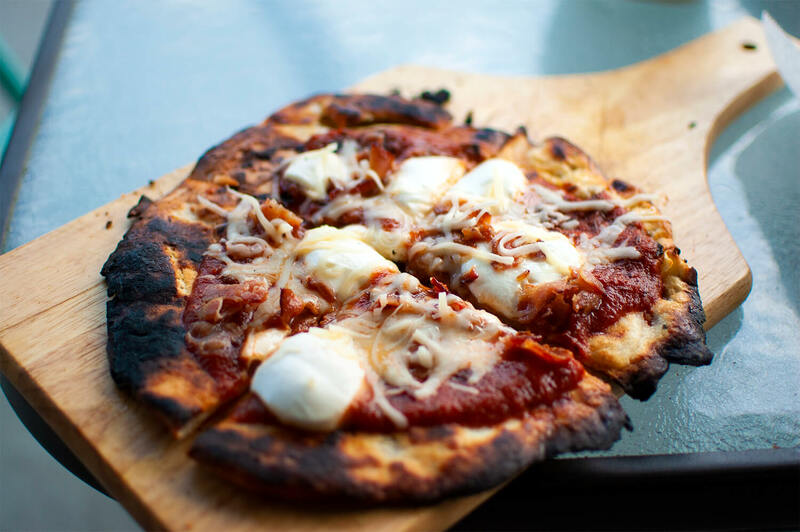 Use a rolling pin to flatten into a pizza shape. 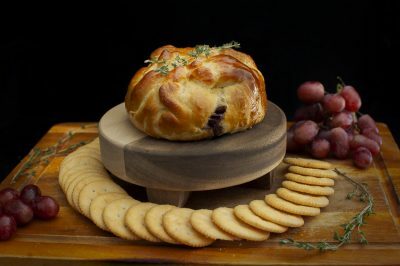 After you use a rolling pin to flatten the dough (not too thin, so you don’t get holes in it – but not too thick so the edges crisp) drizzle each side with olive oil. Spray a piece of tinfoil with non-stick spray and lay each pizza on its own tinfoil. 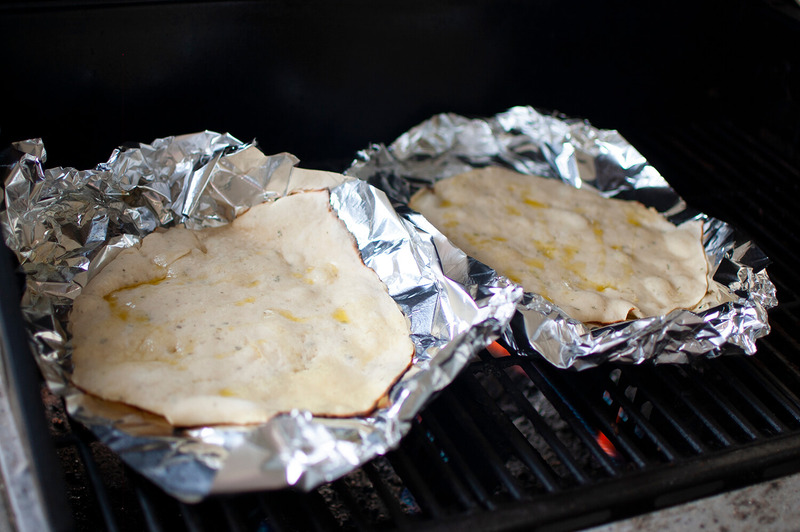 Once the edges start to brown up a bit, flip the crusts directly onto the grill and remove the tinfoil. Once the dough looks pretty solid, you can add your toppings. I heated Ragu Homemade-Style Pizza Sauce (1sp) in the microwave for 1 min before adding it to the pizzas. 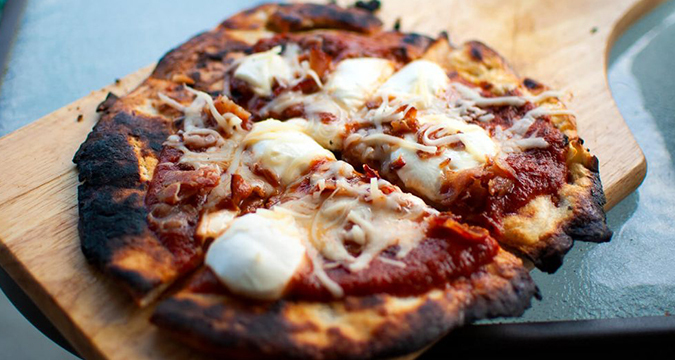 I also used 1 ball of fresh mozzarella (5sp) for each pizza, sliced, and 2 pieces of center cut bacon (1sp), crumbled. If you have some on hand, or you have time to prep – I highly recommend The Skinnyish Dish Crock Pot Marinara (0sp per serving). 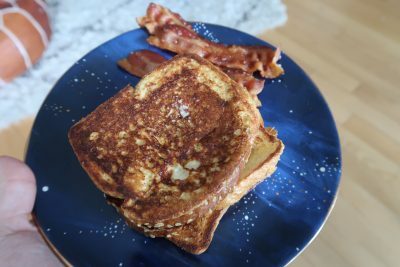 Once the cheese is melted, you can take it off of the grill, cut and serve! Weight Watchers Freestyle: This pizza comes in at about 13sp for the whole thing. Love bacon? Love pizza? Same. Here's a recipe you're going to love. 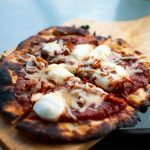 Make your 2 ingredient pizza dough, combining all ingredients in a stand mixer and mixing until a dough clump forms and the bowl has no crumbles left in it. 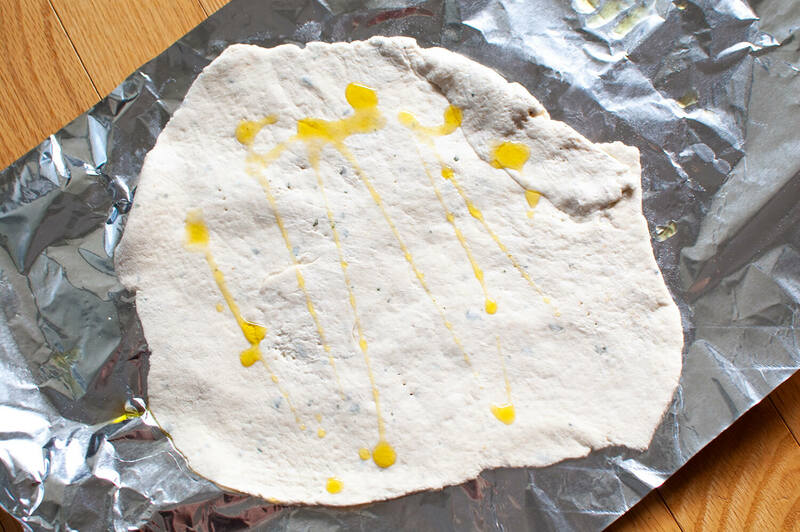 Lay pizza dough out on a floured surface, making sure to flour your hands and a rolling pin. 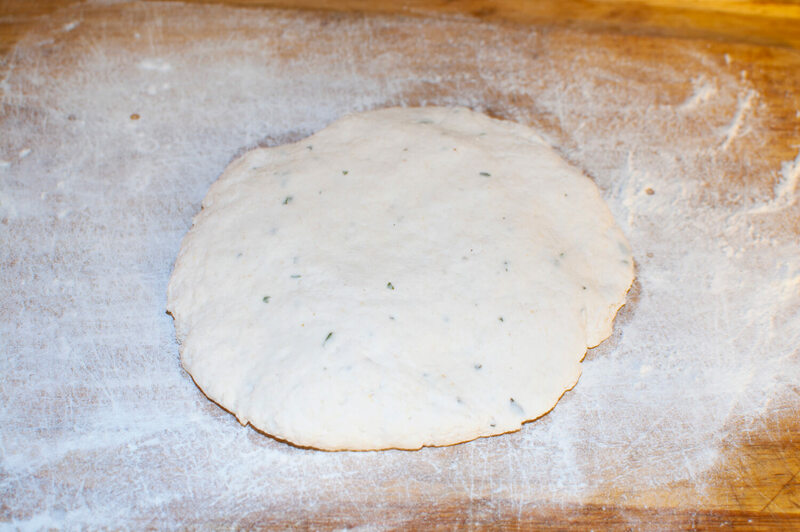 Roll dough into a pizza shape, making sure not to flatten the dough too thin. Put bacon on a baking sheet, and place in oven (370º for 15min). 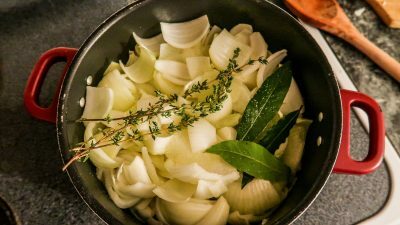 Drizzle each side with olive oil, then lay flat onto a sheet of tinfoil (spray the tinfoil with non-stick cooking spray first). Let cook on the grill for a few minutes, until edges are golden. 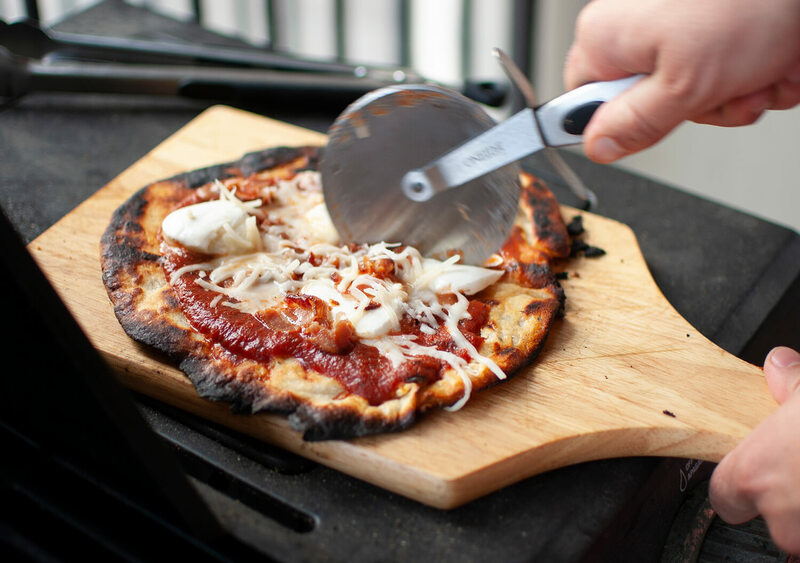 Flip pizza crust directly onto the grill, removing the tin foil. Let cook until the dough looks done. 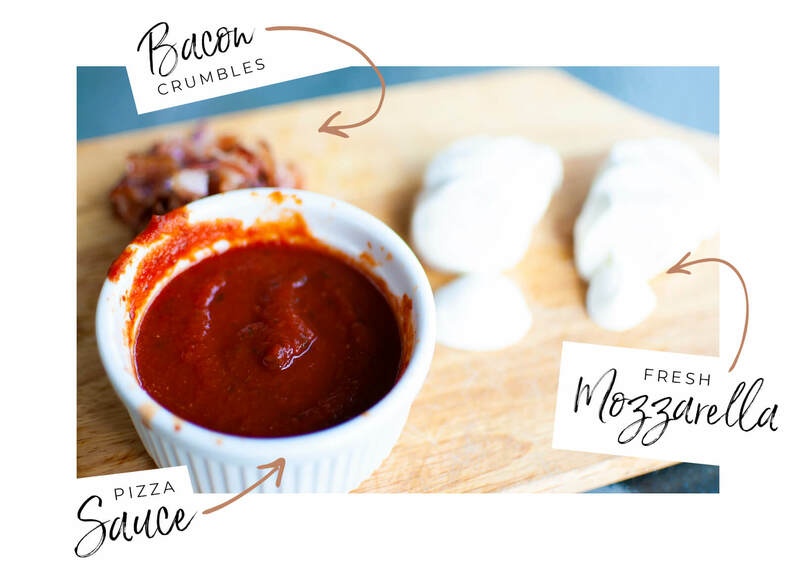 Add toppings (mozzarella, pizza sauce, bacon – extra shredded mozzarella if desired).